Lexus Red Parking is accessible by turning onto Jack Evans Street from the Woodall Rogers Access Road and Flora Street. Self-parking is available for $6 during non-event times. Event rate parking is $17 for self-parking and $27 for valet service and may be pre-purchased when purchasing event tickets or by calling the Box Office in advance. Cash and major credit cards are accepted when paying upon entry. Complimentary, one-hour parking is available on Flora Street in front of the Information Center. Parking for more than one hour is not advised. A restroom is located in the Information Center. This facility is equipped with a changing table and is accessible for all patrons. The AT&T Performing Arts Center is compliant with the American Disabilities Act, welcomes all patrons and offers a variety of services to meet special needs. Patrons may be dropped off on Flora Street for easy access. Ramps are located in front of the Donor Reflecting Pool and near the Information Center. Lost property will be turned into Public Safety. See front-of-house staff to claim lost property. 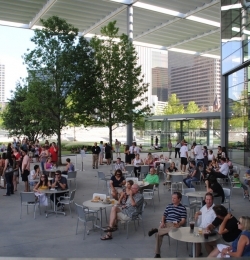 Concessions, including soft drinks, beer, wine, liquor and light snacks, are available for purchase at Southwest Porch for Patio Sessions events. Cash and major credit cards are accepted. Only alcoholic beverages purchased at Southwest Porch are allowed. Pearl Cup Coffee is located inside the Information Center and offers a wide variety of drinks and snacks. Hours vary. 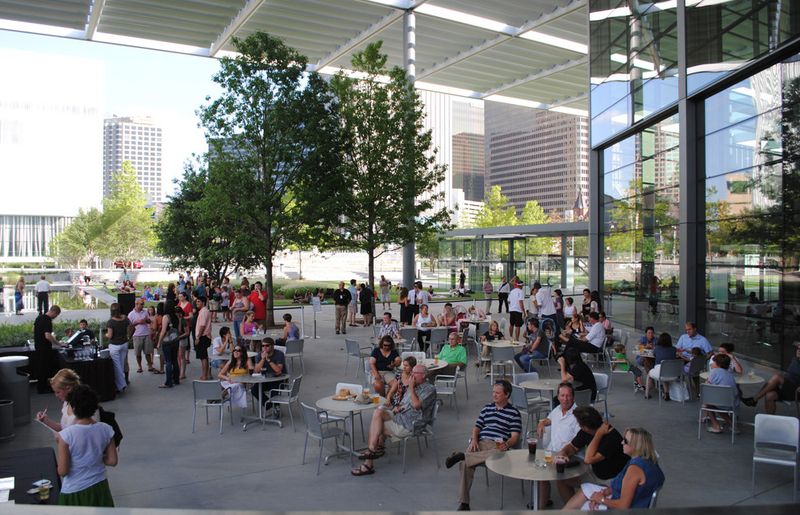 Weaving together the venues of the AT&T Performing Arts Center, Elaine D. and Charles A. Sammons Park serves as an extension of the venues prior to performances, a performance venue for local artists and a gathering place for our diverse community. 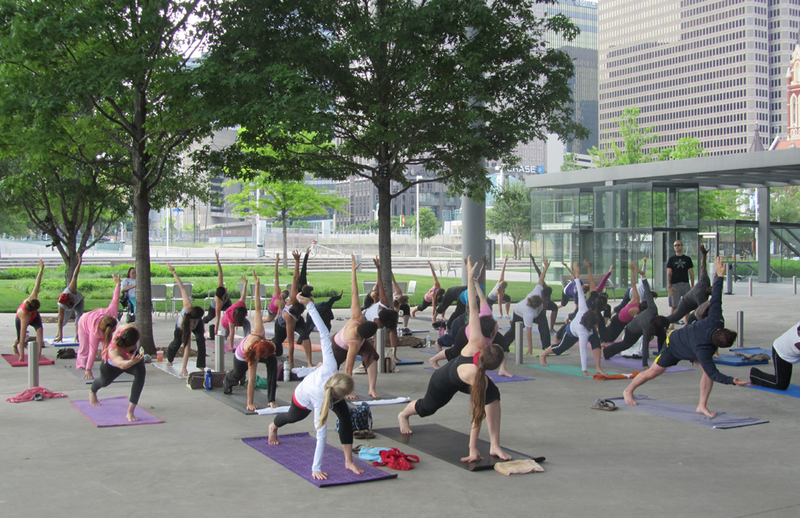 Michelle Desvigne of Paris designed Sammons Park in collaboration with JJR of Chicago. 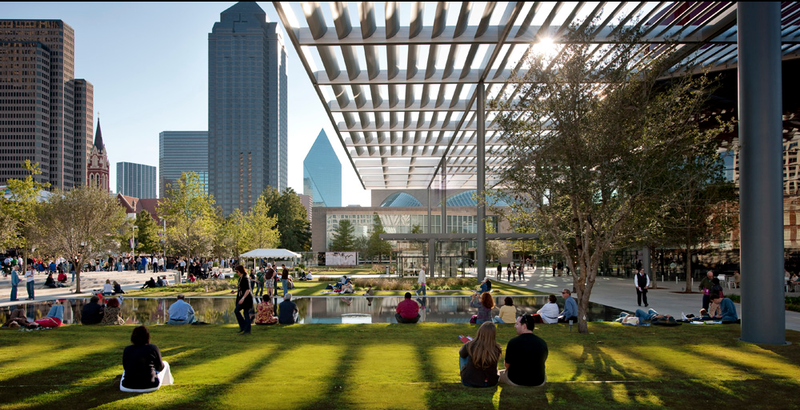 Sammons Park provides a lively destination for families, event patrons, concert-goers, students and individuals from across North Texas. 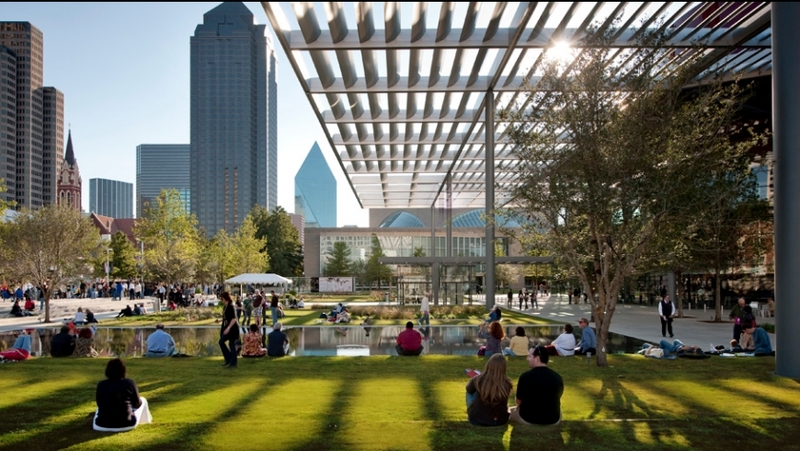 In addition to the outdoor verandah seating in front of the Winspear Opera House, sprawling lawns provide an ideal setting for picnics, performances and other outdoor activities. 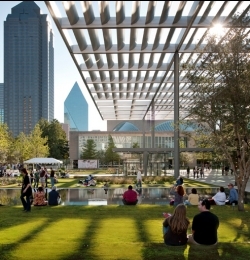 A signature feature of Sammons Park is the large Donor Reflecting Pool in front of the Winspear Opera House. Children of all ages enjoy splashing across the black granite, which honors Center donors of $1 million or more, including those who participate in naming opportunities at the Center.